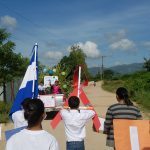 This is the fifth installment of a series of blog posts entitled “Building a Future.” We will highlight the role of Montaña de Luz in building a better future for families affected by HIV in Honduras. At Montaña de Luz, we are adapting to the changing realities of HIV in Honduras today, meeting our children and their families “where they are” to make sure they receive high-quality HIV care and enabling them to live happy, healthy lives. According to Executive Director Morgan Brown, we are creating a “dynamic model” that keeps families together despite the challenges of living with HIV within a broken healthcare system. Gaps exist in the Honduran healthcare system which make it difficult for children, youth, and families to access HIV care. In the past, families have been separated as a result of not meeting the healthcare needs of a child who is HIV positive. This blog post will talk about the gaps in the Honduran healthcare system, why they exist, and how MDL’s new Home Visiting program is addressing the needs of more families affected by HIV in Honduras. The Honduran healthcare system is characterized by weak governance, poor management capacity, and a rigid human resource structure that make it difficult to increase access to the general population to health services. In recent years, health sector reform has been discussed in Honduras because of a collapse of the care centers and a severe financial crisis due to cases of corruption. The average annual income in Honduras is just $1,880. 64.5% of the population lives below the poverty line, and 39.7% live in extreme poverty. In Honduras almost 9 out of 10 people are not covered by any kind of health insurance and it is estimated that 18% of the population (more than 1.5 million Hondurans) do not have access to health services. Hospital infrastructure and health centers are deficient in Honduras. Medical staff often only attends patients between the hours of 07:00 a.m. and 1:00 p.m. The health centers are therefore practically without medical attention in the afternoon and on weekends, when only emergency is attended. In terms of health personnel, it is estimated that there are 10.1 doctors per 10,000 inhabitants in Honduras. This is much lower than the WHO recommended 25 physicians per 10,000 inhabitants. With regard to professional nurses, Honduras has 2 nurses per 10,000 inhabitants, very low compared to the WHO recommendation of 50 nurses per 10,000. There is also an unemployment rate of 46% of the 10,995 registered doctors. Although Honduras recognizes that HIV treatment is a priority for the country, gaps are also evident. HIV treatment is provided at public health clinics and hospitals. The country has 37 Centers of Integral Assistance (Centros de Asistencia Integral, or CAI) that provide limited HIV treatment. However, doctors and nurses are not HIV specialists nor do they receive specialized training in HIV care. The CAIs in the capital, Tegucigalpa, are considered to provide the best care, but a long journey by bus may be required for people from small towns or other cities. Only 42% of HIV positive individuals in Honduras are receiving anti-retroviral treatment (CONASIDA Plan Estratégico Nacional, 2014). Among people living with HIV in Honduras, only 39% had suppressed viral loads as of 2016 (UNAIDS – Honduras, 2018). While progress has been made in mother-to-child transmission, only 51% of HIV positive mothers receive the appropriate ARV treatment to reduce the risk of passing on HIV to their child (UNAIDS – Honduras, 2018). The actual prevalence of HIV in Honduras could also be worse than what is reported. Only 12.6% of individuals between 15 and 49 have been tested for HIV and know their results (CONASIDA, 2014). Many HIV positive individuals do not know about HIV, are unsure how to get tested, or are afraid to get tested. Rural areas are extremely hard to document, census data is less reliable, and many hospitals still use handwritten documentation systems. All of these factors affect the reliability of our baseline statistics on HIV in Honduras. It is extremely difficult for rural communities like Nueva Esperanza and surrounding communities in El Paraiso to get treatment. The distances between health clinics, the poor infrastructure, the poverty, the lack of supportive and integrated care in rural areas, the copays, all make it very difficult for these individuals to seek and continue ARV treatment. Tegucigalpa has better access to HIV care, but it has one of the highest rates of HIV in Central America and is the second highest rate of HIV in Honduras behind San Pedro Sula. Impoverished communities within and surrounding Tegucigalpa have high rates of HIV, and they are competing for limited HIV resources since Tegucigalpa is the only place in central Honduras to provide certain types of HIV care. Once patients are diagnosed with HIV, either by a private clinic that provides HIV testing or a public hospital, they are referred to a public hospital that offers HIV treatment. Often these sites are hours away on treacherous roads. Patients must have a CD4 cell count and viral load test performed before starting antiretroviral therapy. Not all CAIs offer CD4 cell count and viral load testing, so patients may need to travel to more than one CAI in order to receive these tests. “Meeting families where they are” means addressing their individual barriers to care. Home visits are tools to increasing testing, diagnosis, adherence, and follow-up care. These home visits form the basis of understanding the needs of the family. 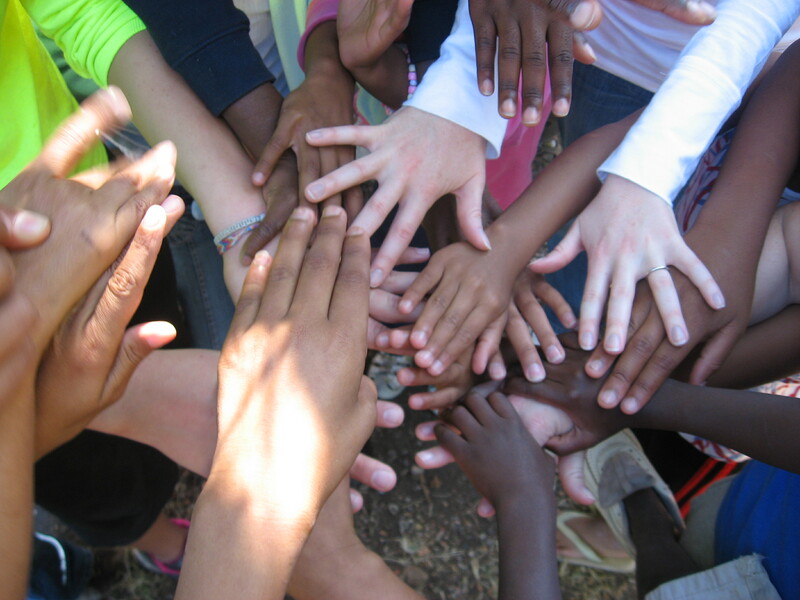 Wrap around support is provided in the areas of health, psychology, social work, and education. The goal of the home visits is to help families become healthier and reduce their barriers to HIV care, particularly adherence to ARV’s and follow up care. Some of the new services that MDL is providing through home visiting include: transportation and support for diagnosis and doctor visits if needed; learning to read prescription labels and understand HIV medications; and assisting with Honduras’ voluntary co-pays for ARV treatment and any supplemental medication needed as a result of HIV, such as ADHD medication. In addition, MdL is providing supports that empower the families we serve, keeping them together despite HIV. For instance, we provide ongoing coordination with patient’s doctors to make sure he or she is going to visits and adhering to medicine; other healthcare assistance and referrals from MDL nurses to network of hospitals and clinics; psychological support for the family and referrals to mental health resources; parenting skills/behavioral/family support when needed; and advocating for the child in his or her school to gain support for learning needs brought about by HIV. The MDL home visit process begins with a referral from clinic or hospital for someone who needs follow up/home visiting/services outside of their purview, or someone who has dropped or refused HIV care. This is followed by an initial “home visit” with MDL, which may include meeting at a neutral place such as a community health clinic if needed. An interview with the family, figuring out their immediate needs and their situation in regards to HIV then follows. MDL staff then provides additional home visiting/follow up support based on their individual barriers to care. For some families this might mean one more visit, while for others it could be many additional visits until they have a “healthy family home” environment where someone can be affected by HIV yet still live a normal life, with adequate access to healthcare, a safe family environment, and opportunity to grow and thrive. A “Healthy Family Home” coordinated care tool is used by our staff during and after home visits. It is a way to get a baseline understanding of the family’s needs, with the goal being that an individual affected by HIV has a healthy environment to live, grow, and thrive. MDL strives to help individuals and families meet certain baseline indicators of a healthy home, such as access to healthcare, access to mental health resources, access to basic education, and a safe family environment. The Home Visit process includes the engagement of an MDL interdisciplinary team. It is the core of skilled employees who provide these home visits and outreach services to help reduce the barriers to HIV care. The team includes two nurses, a psychologist, a social worker, an education specialist, a family support specialist, and a youth specialist. This group meets for five hours a week to discuss the families we are supporting and coordinate the best possible care to help them reach self-sufficiency. MDL continues to provide care based on how safe, secure, and healthy that family is and the supports needed for them to be self-sufficient and able to manage HIV care. This could mean frequent home visits, or home visits just once a year. They maintain lines of communication through home visits, but also through the doctors of the individual affected by HIV, with whom they monitor their CD4 levels and adherence; and through the children’s school, with whom attendance records and relevant special needs information is shared. The goal is to create a safe, stable, healthy environment in which the individual affected by HIV can live a normal life despite HIV. No other organization provides family-based care for HIV in Honduras. There is a real opportunity to serve thousands of children and families who currently do not have adequate access to HIV care. The goal is to help more individuals become self-sufficient in their HIV care, as well as serve as advocates and examples for a new future of HIV care in Honduras. MDL has already experienced exciting outcomes through the new Home Visit program. More than 15 new families have been served so far in 2018, and the organization plans to serve an additional 15 this year. MdL hopes to double the number of children and families served again in 2019. MDL nurses are also beginning to serve in clinics in rural areas that previously had no access to HIV care, meaning that entire communities will have access to better HIV services. About the Author: Bob Short is a member of the MDL Board of Directors. He has participated in Mission Trips to Honduras five times over the past 17 years and his family have visited the MDL residential facility in rural Honduras more than 20 times.